We had so much fun taking the kids to so many fantastic places on our recent visit to Cape Town! There are so many places to go and almost everywhere that we went was completely child friendly and had everything that we needed for the kids. 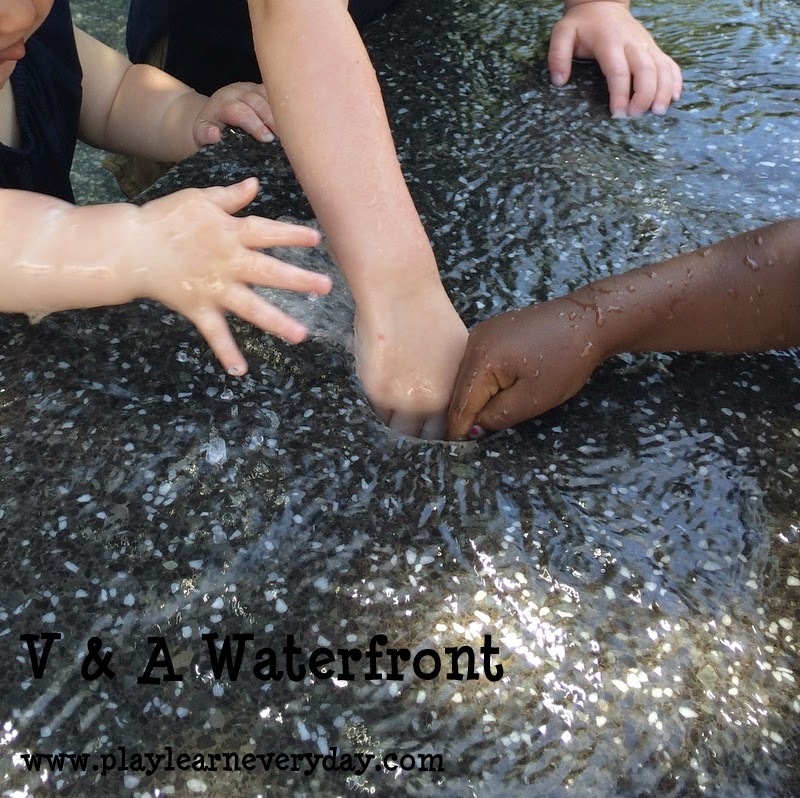 At 3 years old (Ethan) and just under 1 (Ivy) we were specifically looking for activities that young children can enjoy and take part in, I'm sure that next time that we visit we will do a lot more adventurous days out! South Africa is famous for it's gemstones and crystals, and what better way for kids to learn about them than to walk around in a huge area filled with colourful rocks! This time we didn't take Ivy in with us (she still puts everything in her mouth so it wouldn't be safe) but Ethan and I each bought a little bag and went into the scratch patch to choose the nicest crystals that we could find to take back home with us. 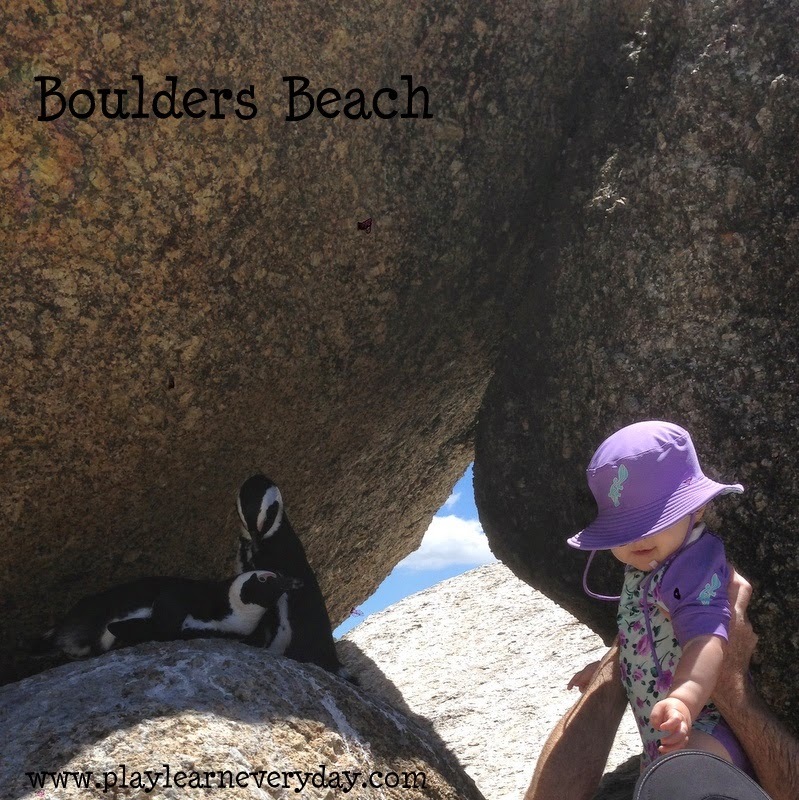 There are so many fantastic beaches in Cape Town which are all fantastic for kids, what more do you need than sand and sea? We explored many beaches, but we do love St James Beach with its colourful beach huts and shallow lagoon to play in. Another great family activity is to go to a wine farm. It may not seem like the most obvious choice for children, but many do have a lot of family friendly activities. We really liked the Spice Route because it's like a little village. There are restaurants, a chocolate shop, an ice cream shop and a great kids play area. We absolutely love going to Kirstenbosch, it's such a fantastic place to bring a picnic (or buy a picnic from the cafe there) and just have a walk around. There are beautiful flowers, trees to climb, lakes and streams to walk along and a fantastic tree canopy walkway that gives you a great view of the whole place. Cape Town also has a few different forests and wooded areas to explore. We really like the Arboretum for a nice walk around. Especially on very hot days there are nice shaded areas, Ethan loved discovering all of the different trees, especially the ones with big leaves! Near the Green Point Stadium you will find a huge park that oddly I don't think that a lot of people know about. It has a little stream that goes through it with a fun bridge to walk over, discovery areas and a fantastic playground! There's actually two separate playgrounds for younger and older children. It's all very natural wooden equipment, and there's these great tunnels with rock mosaics along them. 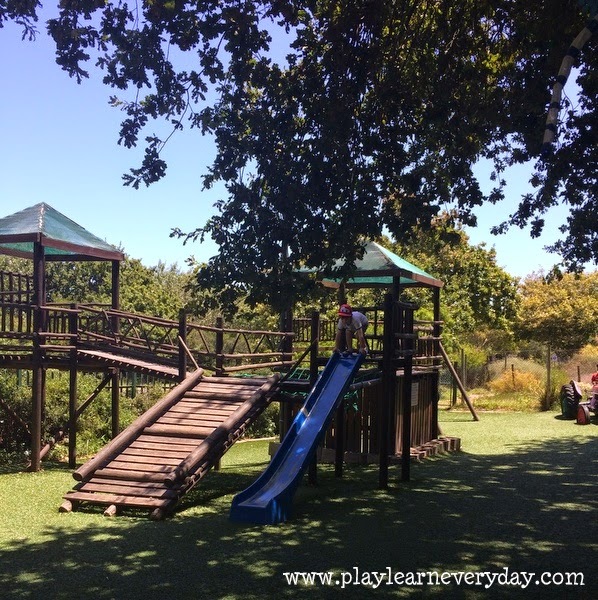 The kids had so much fun exploring this park, we could have spent the whole day there! One of our favourite places in Cape Town has always been the Waterfront for all the great shops and restaurants. 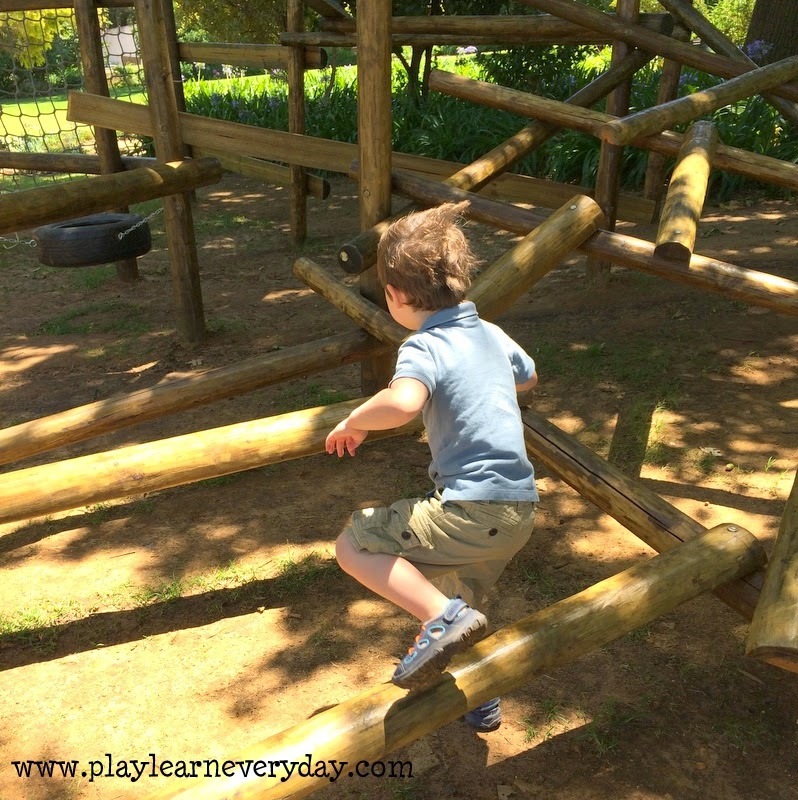 But it is also a great place for kids as there are two different climbing frame areas with really fun equipment to climb on, as well as a water play area! This is where we spend most of our time as Ethan and Ivy both love to play in the water. It's just a big fountain basically, with water spurting out of different rocks and coming through pipes in the wall. Make sure you bring the kids a change of clothes! It is no surprise that Cape Town has a fantastic aquarium as it's surrounded by water! The Two Oceans Aquarium does not disappoint right from the start with it's 'Nemo' tank that you can crawl underneath to get a view of them from the inside! Throughout the aquarium you'll find plenty of fascinating fish as well as an area for the kids to play and to do crafts. Throughout Cape Town you will also find places like Noordhoek Farm Village with a few choices of places to eat, shop and play! It's so different to anywhere here in the UK, that you are able to sit down for a nice lunch with a perfect view of the climbing frame for the children to play on. It was perfect for Ethan as he wasn't bored waiting for food while he played, then we called him back when his calamari arrived (his favourite Cape Town meal) then he could go back to play afterwards. There are so many fantastic places to play in Cape Town, these 10 are really just to get you started. Please share any other places that you've gone with your family in Cape Town and we'll add it to our list for next time! Have a look at our travel board on Pinterest for more fun travel tips! Follow Play & Learn Everyday's board Travel with Children on Pinterest. This looks like so much fun! 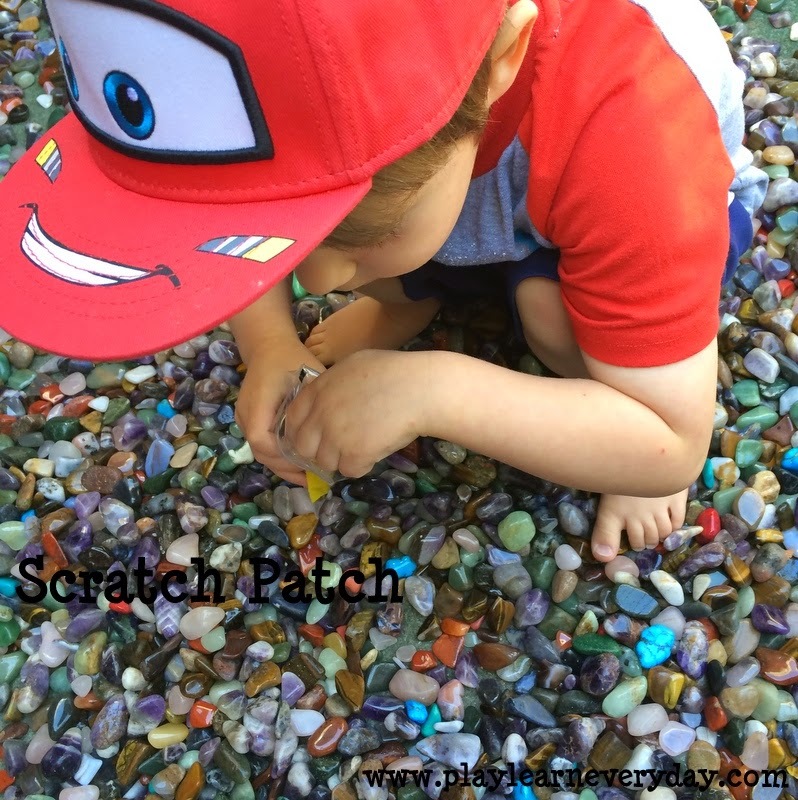 I can't get over the Scratch Patch with all of those beautifully colored stones. Thank you for sharing at Inspire Me Wednesday. Featuring you in this week's issue.